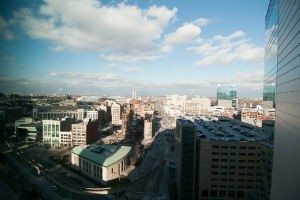 Startup founders, industry leaders, investors, and a high number of young, engaged Detroiters crowded into the auditorium at the Compuware Building downtown last Thursday for Mobile Madness Motor City, Xconomy’s first mobile technology event in Detroit. 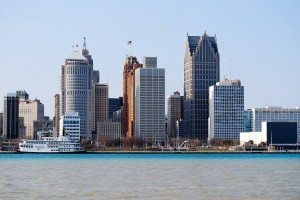 We’ve held Mobile Madness events to great success in other cities across the Xconomy network, and Detroit was no different. We’d like to officially thank our event host and sponsors—Compuware, the Kauffman Foundation, and Quicken Loans—as well as event partners TechTown, Bizdom, Ann Arbor SPARK, the Mobile Technology Association of Michigan, MichBio, and Mobile Monday Michigan, without whom we couldn’t have pulled off such a successful event. We packed a lot of information into a half day forum. Michipreneur curated a Storify link dedicated to the event and there were also tons of great tweets under the #detmobile hashtag. Our speakers covered connected cars, apps strategy, mobile enterprise, Detroit’s role in building mobile technology, and much more. I picked a few highlights and takeaways to summarize below to give readers an idea of what they missed. Let us know in the comments what your favorite moment was. Quote of the day: Let’s face it, the Detroit tech community secretly kind of loves to tweak that giant living in the hillside otherwise known as Silicon Valley. Josh Linker, ePrize founder, managing partner of Detroit Venture Partners, and Detroit booster extraordinaire drew applause early on in the event with this line: Detroiters’ grit can be “the fuel that allows us to put those soft folks in Silicon Valley down for the count.” You hear that, Mountain View? Shots fired!